The Institute of Geography and Spatial Planning of the University of Lisbon, in collaboration with ESRI Portugal, promotes for the fourth consecutive year the Project “We Propose! Citizenship, Sustainability and Innovation in Geographical Education”, supported by the National Agency for Scientific Culture and Technological / Living Science. 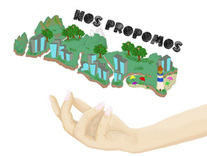 The “We Proposed!” Project aims to promote an effective local territorial citizenship, in a perspective of governance and sustainability. It is currently the major national project within the scope of Geography and mobilizes schools throughout the country. The 3D Antarctica project is a project that aims to use an autonomous unmanned vehicle (UAV) for the study of permafrost and climate change in the Antarctic peninsula. The funding was obtained through a crowdfunding process that managed to surpass the 21 thousand euros with about 300 supporters. With the support of the Ciência Viva Agency and IGOT, 3dAntártida has developed activities to demonstrate the use of UAVs in the framework of Live Science in the Summer and lectures in science centers. In July 2015 a three-day internship will be held with secondary school students in the Serra da Estrela, where the latest mapping techniques will be practiced using UAVs. The Portuguese Polar Program maintains, with the collaboration of CEG / IGOT, ongoing education and dissemination activities since the International Polar Year 2007-08. 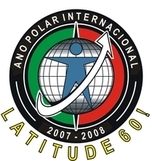 In this context, several projects have been held, with emphasis on Latitude60 !, PROPOLAR Education and Polar Scientist Profession. PROPOLAR regularly encourages visits by scientists to schools, exhibitions and lectures, as well as campaign diaries that can be consulted in http://www.propolar.org. Coordination: Gonçalo Vieira (CEG/IGOT), Adelino Canário (CCMAR-UALG), Catarina Magalhães (CIIMAR/UP), João Canário (CQE/IST) e José Xavier (MARE/UC). Secretariat: Ana Salomé David (CEG/IGOT). Every year in June and July researchers from the Center for Geographical Studies collaborate in the activities of IGOT in the summer involving 8th to 12th grade students in an introduction to geography research. The themes have focused on the use of new cartography technologies using satellite imagery and unmanned autonomous vehicles with cabinet sessions as well as fieldwork in the Cape Espichel area. 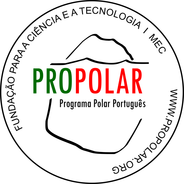 The CEG / IGOT in the framework of PROPOLAR maintains the Portuguese Polar Portal, a site that gathers all the polar information of relevance to Portugal. The Latitude60 Project! Was held during the 4th International Polar Year between 2007 and 2008 and was funded by the Ciência Viva Agency. It involved the Center for Marine Sciences, the Center for Geographical Studies and the Association of Teachers of Geography, having been one of the largest educational projects worldwide in the International Polar Year. The project involved about 200 schools and 8000 students of all educational levels, with more than 30 didactic activities.